Our editor, Dr Patricia Macnair, is a speciality doctor, a journalist and a contributor to The Spectator. Published twice a year subject to funding, this 36-42 page publication takes a practical and challenging stance on hot topics ranging from obesity to the diagnosis of GI cancer, the role of PPIs to understanding the infant microbiome. 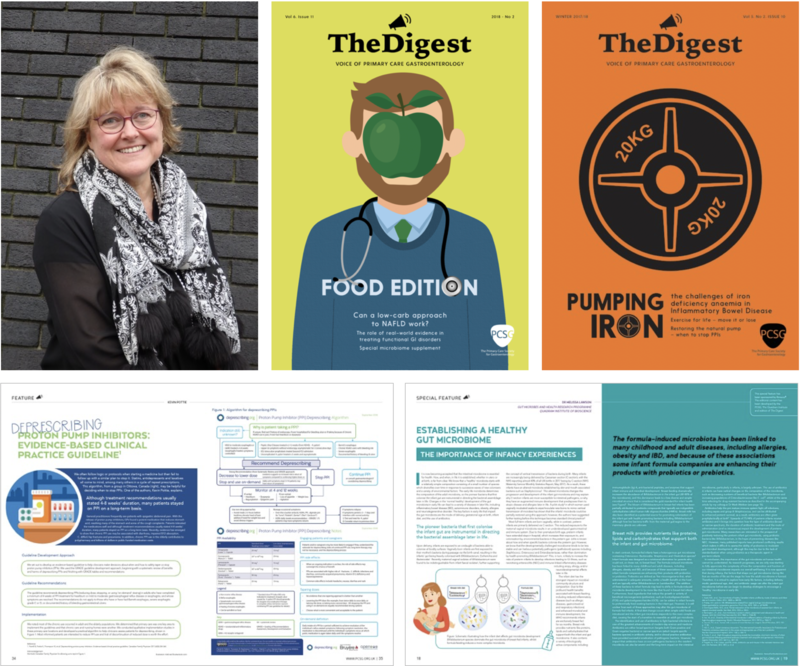 A creative and engaging design ensures stand out at events such as RCGP and BSG where the magazine is distributed.